20 soundscapes recorded in Poland. Short comment of narrator in Polish at the beginning of CD, than only sound. 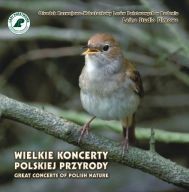 Booklet in Polish, English, German and Russian. CD, about 77 min.